Italy is one of my favorite European countries. 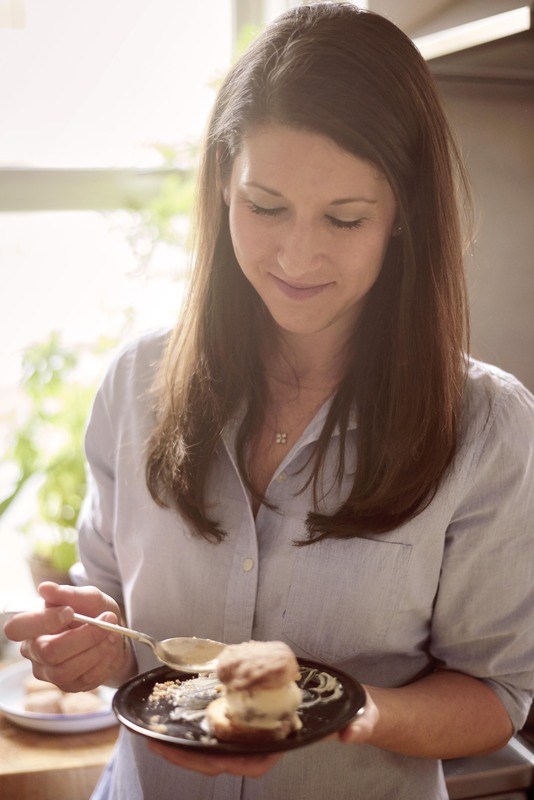 I had the chance to rekindle my love of the country back in April on a class gastronomy trip to the Amalfi Coast. 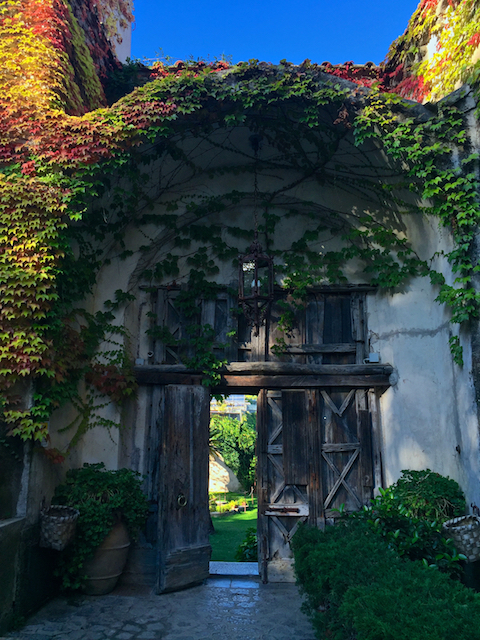 It was magical – the food, the scenery, the culture – it was hard to board the plane to leave. When my family was planning their trip over to London for my graduation from pastry school, my mom mentioned that she wanted to include Italy on the itinerary since she had always heard such wonderful things from her parents about the country from when my grandfather was stationed with the Air Force in Italy during WWII, and on my grandfather and grandmother’s subsequent vacation to the country. I was thrilled to show her some of my favorite spots, as well visit a few new locations. We would also be revisiting a few cities I had been to on my study abroad in 2003, but not had a chance to return to since. Cinque Terre, Florence, Rome, Naples (where we would be joined by my stepdad, brother and sister-in-law), Capri, Positano and the Amalfi Coast including Ravello, Amalfi and Nerano. 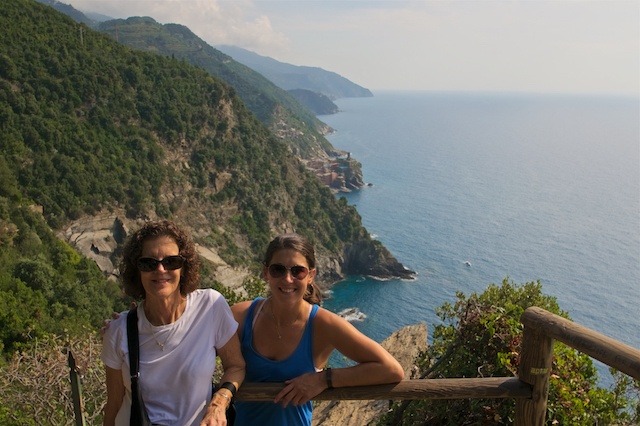 I am so grateful having the opportunity to be able to take such a wonderful mother/daughter trip that concluded with an entire family Italian vacation. It was a wonderful adventure! 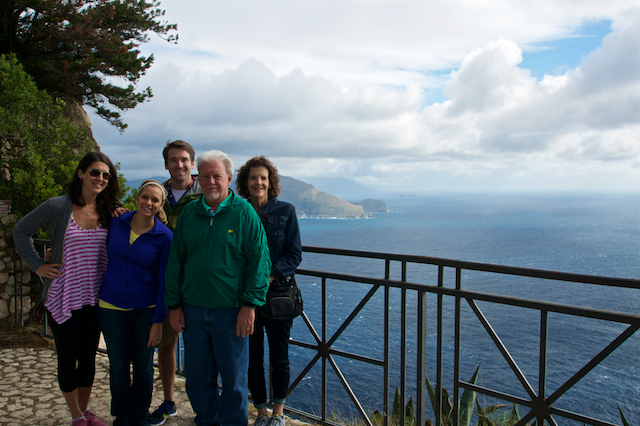 We lucked out with the October weather and had a perfect day for hiking Cinque Terre. 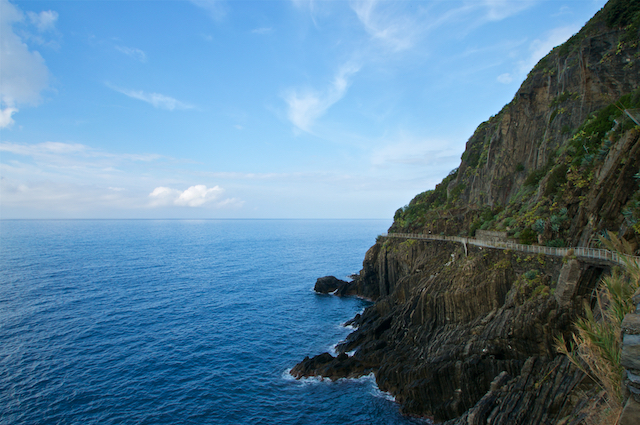 We based ourselves in Riomaggiore and took the train up to Monterosso to begin. 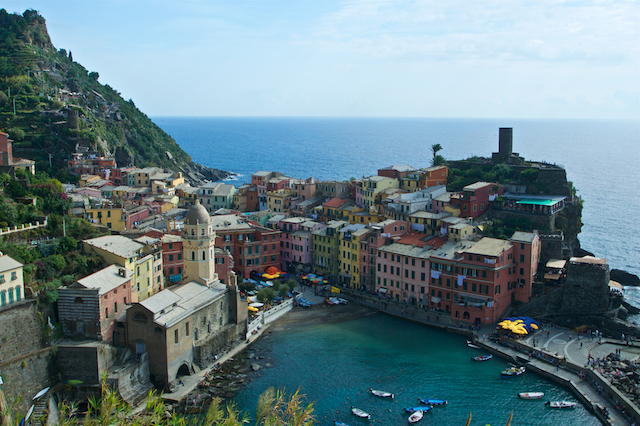 From there, we hiked Monterosso to Vernazza and Vernazza to Corniglia. 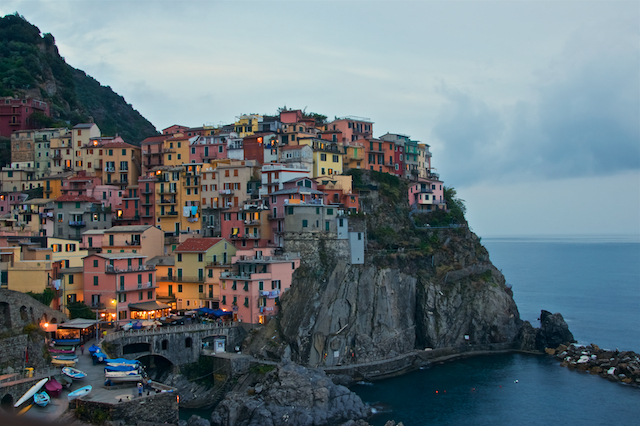 From Corniglia we took the train to Manarola to enjoy the sunset over the sleepy fishing village with a glass of Italian red and concluded with dinner back in Riomaggorie. 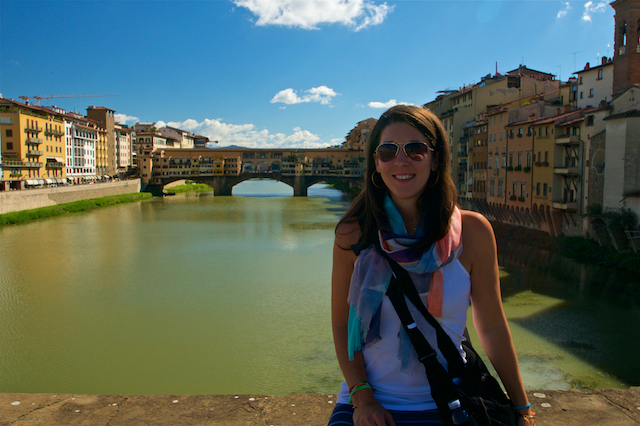 Florence included cashing in some SPG points for a luxurious stay at The Westin Excelsior, a little art history at The Academia, a million steps (okay 879!) 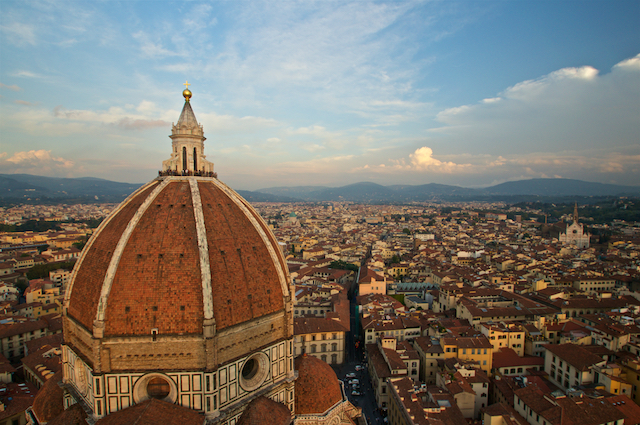 for incredible views of the city atop The Duomo and Bell Tower and the BEST food tour with Walks of Italy. 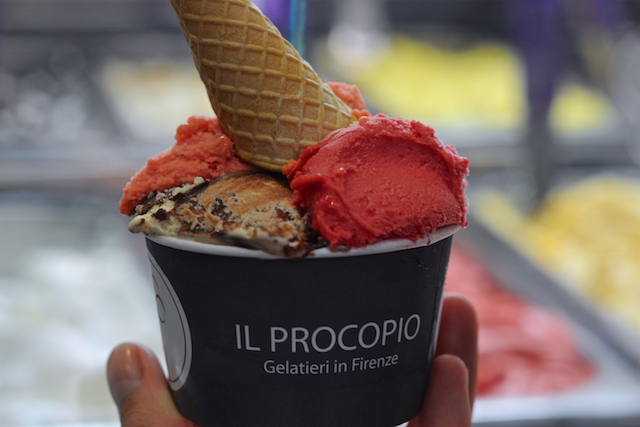 I love a good tour, and the Walks of Italy graciously invited me to come on the Florence Food Tour: Markets, Tastings, Wine & Gelato tour. We booked a spot for my mom to join me and it was one of the best tours we’ve both been on. It was fab! Highly recommend. Do you want whipped cream on top? Why not! 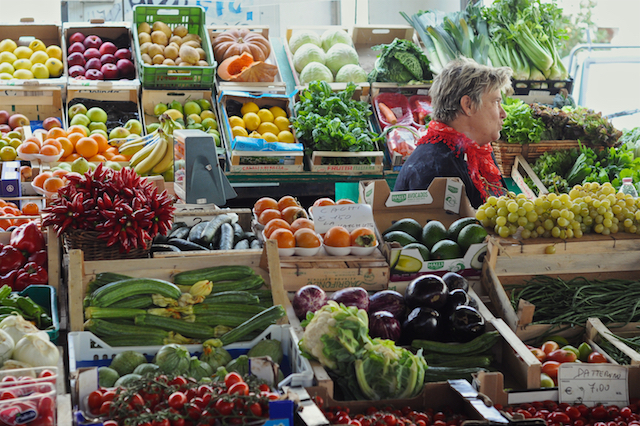 What other meeting place do you pick for everyone when you’re in all meeting in Naples? A pizzeria, naturally. We decided to try out Gino Sorbillo and it did not disappoint. 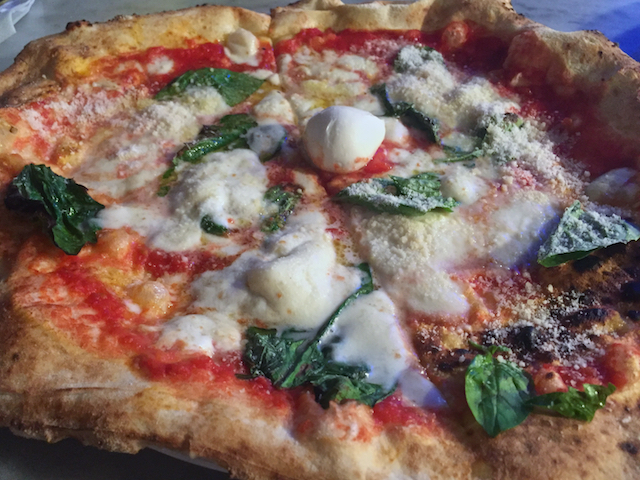 I’m only sad we didn’t have more hours to dedicate to a Napoli pizza crawl. 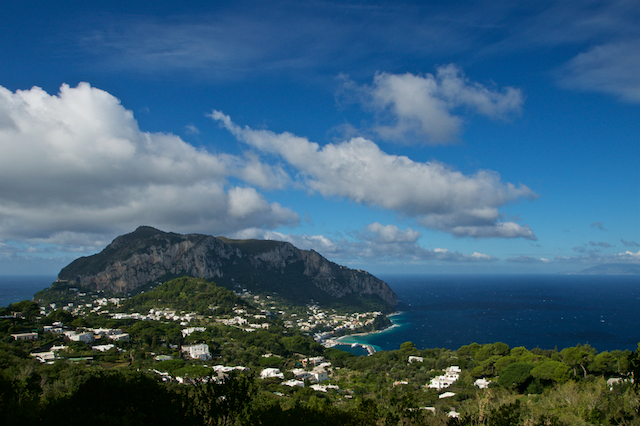 Our time in Capri wasn’t all rainbows and sunshine. In fact, half the time it was the exact opposite. We arrived on the boat from Naples in a downpour. 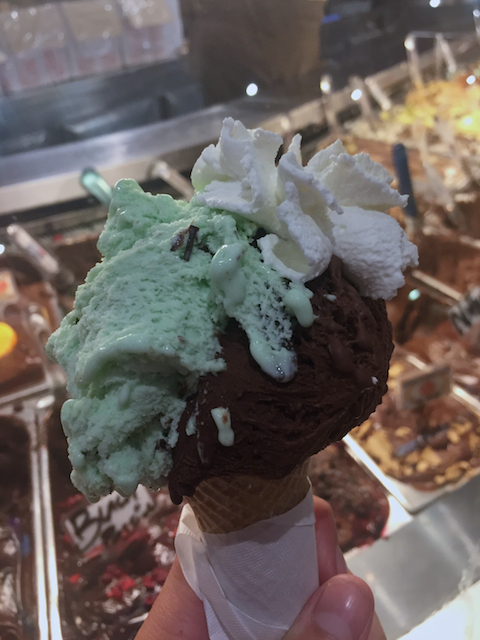 It rained the entire first day but that didn’t stop us from fully enjoying ourselves with a glass or two of Italian red, a delicious dinner and a trip back to my favorite gelato spot in Capri for dessert! 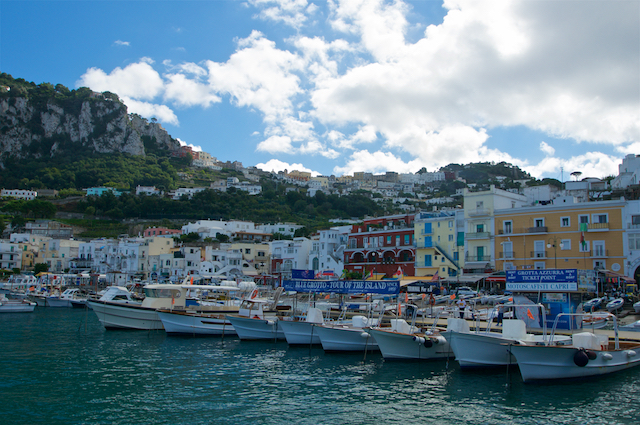 During our class trip in April, I went a few days early to explore Capri and Positano before basing with the class in Sorrento, and I fell in love with the area. 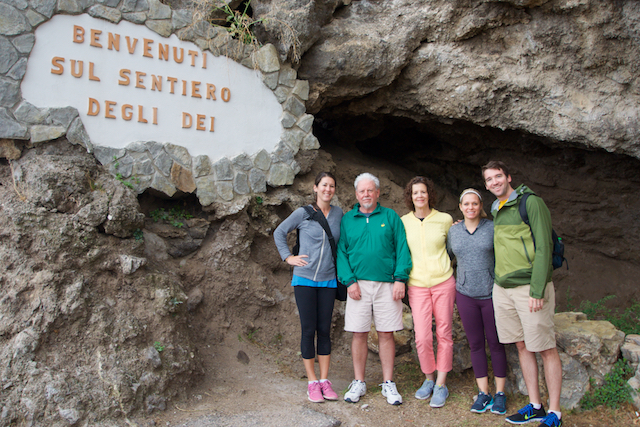 I was the most excited to introduce my family to Positano and the Amalfi Coast. 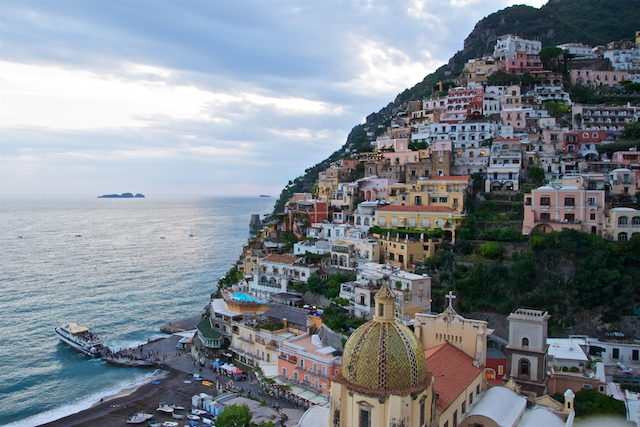 We based ourselves in Positano, the jewel of the Amalfi Coast, and explored the region from there. 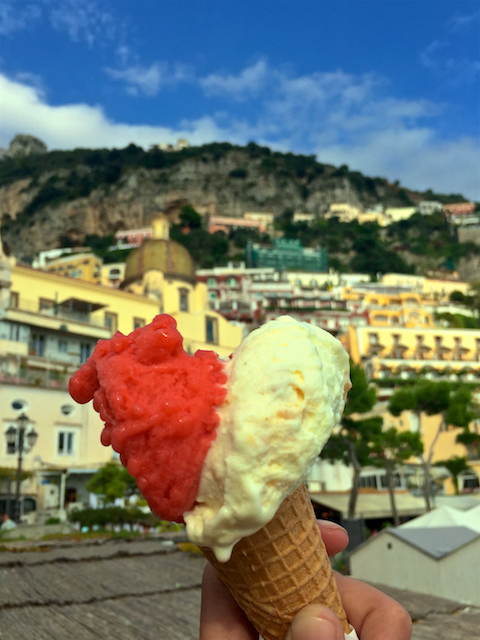 Highlights included dinner in Nerano at the two-Michelin-starred Quattro Passi (the restaurant started by Chef Antonio Mellino, who I interviewed for my gastronomy project), hiking the Path of the Gods with Zia Lucy and finally getting a chance to visit Ravello. 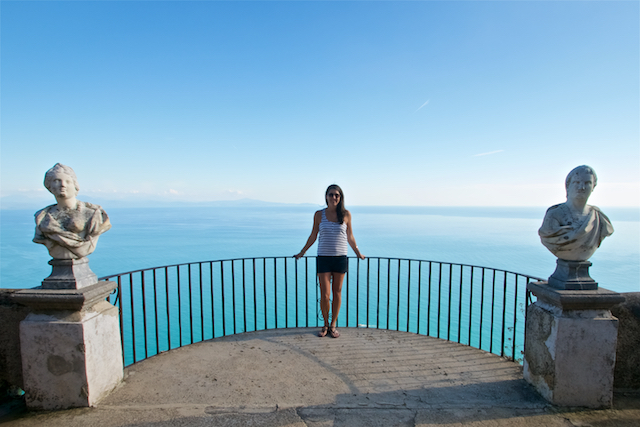 The views and colors of Villa Cimbrone were absolutely stunning! 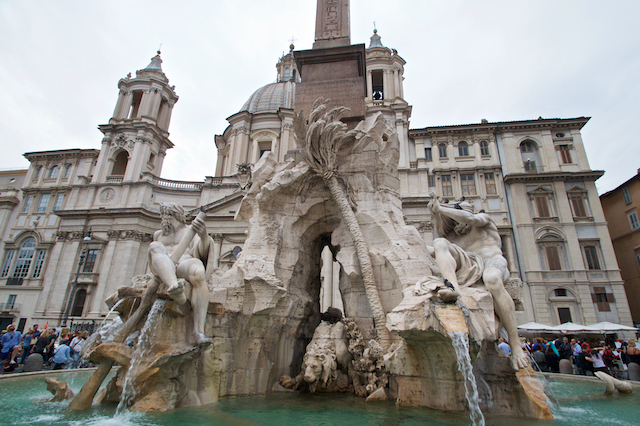 What are your favorite Italian destinations?